Sadly, it looks like everything I predicted in my post Hail to the Thief is coming true. 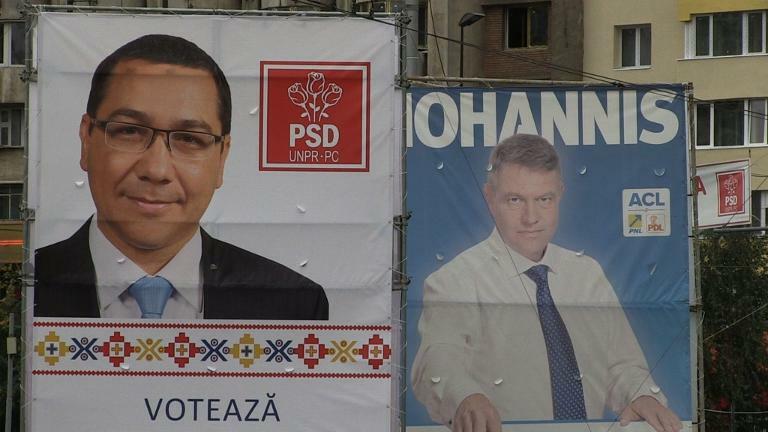 After last Sunday’s elections, Victor Ponta received 40.44% of the vote and Iohannis Klaus 30.37%, meaning the two men will face off in a run-off election next week. I pretty much learned everything I needed to know about Romanian politics when I lived in a village a few years ago. The only television station we could receive was a free satellite channel of TVR2 (the government station) which ran a nightly newscast at 7:00 pm. Every night, me and this one older lady would sit next to each other and watch it. If Basescu appeared on the screen, she would grumble and jeer. But if they showed a clip of Cornel Vadim Tudor ranting and raving in Parliament against hoti si mafioti (thieves and the mafia), the old lady would stand up and cheer, her eyes wild, froth bubbling from the corners of her mouth. She loved CVT, not because of his nuanced political positions, but simply because he was obviously great entertainment. Pounding the lectern and shouting was wonderful theater. 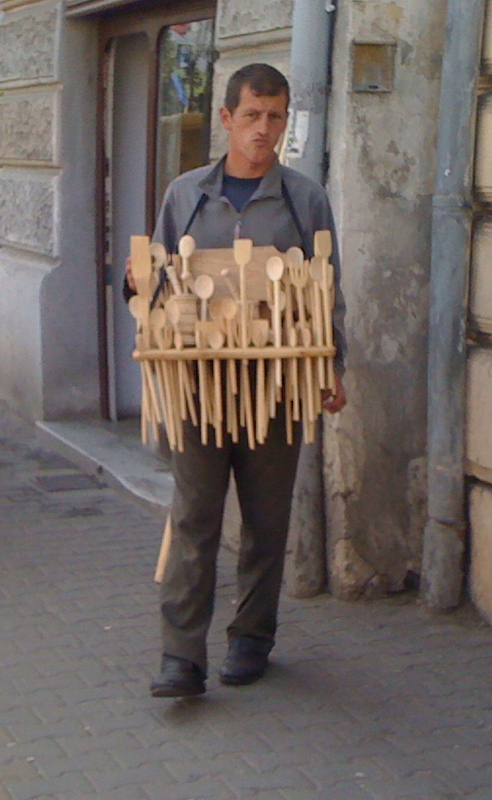 Somehow, Ponta has successfully mastered the same art – give the Romanian people a good show and they will love you. I’ve read dozens of news articles and essays this past week and they all boil down to the same thing – Klaus is boring and has no momentum while Ponta is always grinning and dancing in front of the cameras. And yet, to the objective observer, it seems almost impossible that Ponta could have ever arrived where he is, Prime Minister for two years and now on the cusp of being elected President. Years ago, a young Victor Ponta was a university student. Somehow he charmed his favorite professor, Adrian Nastase, and became his devoted acolyte. Together they made sure Ponta passed his law school exams and gain his doctorate, There’s no way to know if Ponta cheated on those university exams but it is an incontestable fact that Ponta plagiarized heavily for his doctoral theses as well as some of his published papers. Some plagiarists steal a brief quote or perhaps a paragraph, other plagiarists take a chunk of text and re-word it or slightly modify it to disguise their theft. Not Ponta. He boldly swiped enormous passages, some of them 40 or 50 pages in length. After gliding through law school, Ponta briefly became a prosecutor, a career remarkable only by the fact that he did so little. He scarcely did more than show up to collect his paycheck at the end of the month. Ponta then turned this “valuable experience” to his own profit, joining a private law firm that was convicted of defrauding the government of over a million euros. One of Ponta’s first acts as prime minister was to appoint his former law partner to a cabinet position. After enriching himself, Ponta then officially started working on his political career, rising up through the ranks of Professor Nastase’s PSD party. But after Nastase stumbled, and was caught up in criminal and ethical charges, Ponta’s grin never faltered. Somehow he overthrew the PSD leadership, exiling Mircea Geoana to the cold fringes of Washington, D.C. and installed himself as the new head honcho. And then at the end of 2011, Ponta finally got his chance. The country was tired of the Basescu/Boc leadership and the old Communist bootlicker Boc made the fateful decision to fall on his sword and resign. For a brief time, a “centrist” prime minister, Mihai Razvan Ungureanu, took Boc’s place but Ponta was ready. Using an unholy alliance of the Orthodox Church, a psychotic labor leader, some very creepy people in America, and the fascist/nationalist parties, Ponta’s merry wrecking crew dispatched MRU and President Basescu had no choice but to accept Ponta as the new prime minister. Immediately, the currency tanked. Problems were rife. Ponta’s slimy associations with Mircea Doganu were made public (and then rapidly forgotten). Nastase was finally arrested, despite Ponta and Friends staging a fake suicide attempt in order to keep Nastase in a hospital instead of doing directly to jail. The “rule of law” was attacked and savaged to the point where EU chief Manuel Barroso had to personally intervene. Basescu was temporarily suspended from office barring a referendum, with Ponta’s chief ally, Antonescu, taking over Cotroceni (the Romanian “White House”). And yet, despite massive voter fraud and the manipulation of the rules, somehow the referendum to remove Basescu failed. None of it mattered as Ponta kept on grinning through it all, proclaiming every failure was a success. He shuffled his cabinet multiple times, tossing allies and friends overboard with nary a glance backwards. No matter what he did, Ponta discovered that if he kept on smiling and laughing off every criticism, he was untouchable. Budget shortfalls, a disintegrating healthcare system, an immigration crisis in Britain, widespread corruption and rampant incompetence revealed after a plane crash in January bounced off of him, his popularity remaining constant. For a moment, Ponta actually considered promoting Klaus (then an ally) to a cabinet position. But Klaus ultimately balked. Ponta shrugged that off too, ultimately throwing Antonescu and Klaus to the wolves, preferring the company of Tariceanu (who came in third last week). Now he’s promised to elevate Tariceanu to prime minister. But only a fool would trust Ponta. But that is Ponta’s entire strategy in a nutshell – he has discovered the old Eurythmics song is true, that some people want to abuse you but others want to be abused by you. Romanians want to be tricked, and deceived, and lied to. Smiling and laughing in front of the cameras is the only thing that matters. Numbers and statistics and tedious intellectuality is boring. People in Romania want a show and, by god, Ponta is the perfect man for the job, eager to wear the tophat and stand in the spotlight and conduct the Circus of The Bizarre that is Romanian governance. It doesn’t matter that Ponta’s foreign minister, his partner in weird, creepy evangelism in America, Titus Corlatean, purposefully squashed the vote in several western European countries. It doesn’t matter that the ambassador at the Romanian Embassy in Paris called in the police to disperse voters. It doesn’t matter that Ponta essentially bought off the vote of Romanians living in the Republic of Moldova. It doesn’t matter that a million votes were cast by people on the “supplementary” list, almost all of them a vote for Ponta. It doesn’t matter that Ponta received exactly a million more votes than Klaus. It doesn’t matter that Ponta’s party, the PSD, was recorded multiple times using party vehicles to transport people to voting booths. None of it matters. What matters is that on Monday, Ponta will once again appear on television, smiling and grinning and laughing his way to victory. What matters is that all the elderly villagers will be shouting and dancing in front of their televisions, reveling in the grand show. What matters is that the obese bearded priests of the Orthodox Church will be telling their parishioners to vote for Ponta, the good man, the anti-Basescu man, the smiling buffoon who will make all your wishes come true. Romania is the land of Click! and soap operas, of fortune tellers (“witches”) and horoscopes on the news. Nobody really wants a boring technocrat from Sibiu, a guy who not only speaks German but has excellent relations with the government of Germany. Nobody wants to see a stern man in a tie lecture the country about fiscal responsibility and following the rules. Even his name is boring. People in Romania want a spectacle. They want a song and a dance and a circus. And that’s exactly what they’re going to get in 10 days’ time. For someone in Po(caho)nta’s profession (i.e., jurists and politicians), producing original work is utterly meaningless, considering one is living in a country whose laws and politics (along with its national car-brand) are, and have always been, imported from the West ? For instance, the various historical Romanian Constitutions are nothing more than plagiarized versions of the famous Napoleonic Code. Speaking of the French, the Romanian Dacia is a plagiarized version of the Peugeot 12. Even when it comes to matters of national cuisine, the sarmale are Turkish, and the mamaliga is made from corn, a plant original to the Americas. As much as Moldavians might enjoy tasting the latter, their legendary ruler, Stephen the Great, certainly did not, since he died at about the same time the continent was just being discovered. Even our faith itself is of foreign import, since Saint Andrew, Apostle to the Romanians, was simply an observant Israelite preaching the Jewish Messiah… The language itself is not ours, but imported from Rome, Italy. When even the innermost parts of our national soul are most emphatically not ours, the fact that Victor Viorel Ponta plagiarized his Magnum Opus becomes so utterly irrelevant in the larger context that I can’t even begin to describe… (After all, what was he going to do ? Compose new laws ? Create new politics ? Elaborate new policies ? At what point, exactly, would any of his personal creativity, such as the one required when writing an original piece of work, have come into play in the day-to-day practice of his profession ? Perhaps the same number of times that knowledge of Sanskrit proves useful when talking to an Eskimo-Aleut). What can I tell you ? Nastase’s like J.R. from Dallas: he shoots himself, then comes back to life just in time for the next installment… After all, how could the man who makes so many dead people resurrect from the grave come election day, not be able to perform the same miracle for himself ! Perish the impious thought ! Well, apparently Klaus did win, and by a comfortable margin even. It would seem some people hated the show. Indeed, God save us all. I had the chance to talk with a few Americans on the internet, I think 2 days ago. I remember when told them a bit about Ponta’s campaign the only way I can describe the reactions is ‘shocked’. Ponta’s notion of democracy is so sick that not even old ‘Murica, with all its political flaws, could tolerate it. And I’m scared, scared about the future of our country. I still root for Iohannis tho. But the chances are slim. First, it is first name Klaus last name Iohanis. Second, little nasty thing about “facilitating” adoptions in the early 90’s, So no one is as pure as we might think. Nu-mi place sloganul tau electoral, Sam. And I would be wary of putting too much faith in Iohannis. He himself might be clean (you never know though) but he allied himself with some of the most despicable human trash in Romanian politics – the National Liberals, who are no better than the Social Democrats, as was seen recently when they were political allies. Anyway, I doubt your post will change anyone’s mind, since pretty much anyone who knows how to use the internet will probably not vote for Ponta anyway. You’re wrong. You described Romanians from outside Transylvania and Banat. In those regions (with the exception of Hunedoara) Iohannis won every county. Sadly, the country looks divided by old historical bordera – almost like Ukraine.